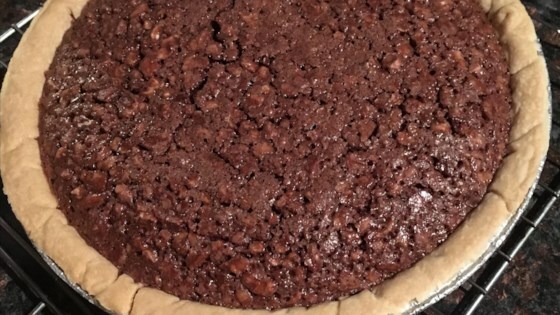 "If you love chocolate you'll love this pie." Unfold piecrust; fit into 9 inch pie pan. Prebake crust according to package directions. Remove from oven. Lower the oven temperature to 325 degrees F (165 degrees C). Beat together sugar, flour, cocoa powder, butter or margarine, eggs and vanilla in a medium-size bowl. Spoon into pie shell. Bake for 25 to 30 minutes or until set. Allow to cool to room temperature. Serve with whipped topping or a scoop of vanilla ice cream. Easy key lime pie with Greek-style yogurt bakes up fast! What a great recipe!! The only thing I changed is I added 3 eggs instead of 2. It held up really well and did not crack or collapse like other recipes i have tried.